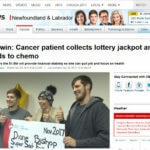 Lottery Winners: Latest Stories + Where Are They Now? Lotteries create dozens of new big winners every single week around the world. Get the latest winners stories and news here. 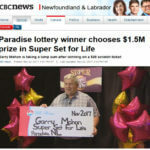 Find out what happened to lottery winners, what they have done with their money, what they buy and where are they now? Make sure you also follow us on Facebook to get the latest winners news as it happens. When people have mistaken assumptions about lottery wins, most of the time it ends in disappointment. 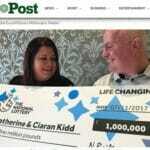 This is not the case for Catherine and Ciaran Kidd – their assumption turned out to be much smaller than the real prize. A Western Australia man who has won six division one prizes has attracted lots of attention. People were wondering if he is really incredibly lucky or he has found a foolproof winning system.